For the past several years, the question of whether to legalize the recreational use of marijuana for adults has been a hotly debated topic across the country. The 2017 gubernatorial race brought this debate to New Jersey, when then-candidate Phil Murphy proclaimed that one of his goals for his first 100 days as Governor would be the passage of legislation to legalize the recreational use of marijuana for adults. While those 100 days have come and gone without the passage of such legislation, Governor Murphy remains committed to the legalization of recreational marijuana. In fact, the governor is so confident that New Jersey will legalize marijuana, that he has included revenue from legal marijuana sales in his proposed 2019 budget. At a minimum, it is starting to appear that it is not if, but rather when marijuana will be legal in New Jersey. To that end, on June 7, 2018, State Senators Stephen M. Sweeney, (D. Gloucester) and Nicholas P. Scutari, (D. Union) introduced two bills regarding the legalization of marijuana. S2702 proposes to legalize marijuana for recreational use and expand New Jersey’s existing medical marijuana program. S2703 is limited to legalizing recreational marijuana use, and is identical to S2702. While State Sen. Scutari has stated that his goal is to pass a bill prior to the June 30, 2018 deadline for the Legislature to pass its budget, it appears that this may be an uphill battle given the short amount of time. While there is no telling whether the eventual law will be identical to either of these bills, they provide a landscape as to what can be expected. Therefore, these bills, along with data collected from other states that have legalized recreational marijuana use, provide valuable insight and important considerations that municipalities should take into account when considering whether to allow dispensaries, growers, wholesalers and/or processors to operate within their jurisdictions. The first consideration is the economic benefits to the community. A study conducted by the Colorado State University-Pueblo’s Institute of Cannabis Research, found that legalized marijuana contributed an estimated $58.8 million to the Pueblo County economy in 2016. This demonstrates that legalized marijuana had a direct contribution to increased revenue for non-marijuana related businesses in Pueblo County, Colorado. This economic boon did not come without cost, as the same study estimated that Pueblo County had an increase in law enforcement and social services costs associated with legalized marijuana of $23.2 million for the same year. The study did not find a direct correlation however, between legalized marijuana and an increase in crime. Despite the increase in expenses, Pueblo County still realized an estimated net increase to its economy of $35.6 million in 2016 alone. Another study conducted by the Marijuana Policy Group estimated that legal marijuana activities generated approximately 18,000 new full-time-equivalent positions in Colorado in 2015. Of those jobs, approximately 12,600 were jobs directly involved in the legal marijuana business. The remaining approximately 5,400 jobs were full-time equivalent positions that were created due to purchases made by the marijuana industry, and spending by marijuana industry employees and business owners. These jobs include, security guards, real-estate agents, construction professionals, HVAC specialists, and other business services such as consulting, legal and other advisory services. The study also found that additional jobs are created when new marijuana industry employees and business owners spend money in the local economy. While the total dollars and jobs created will vary from state to state, there can be no denying that legalized marijuana has created a definite positive economic impact in Colorado, and there is every reason to believe that the same will hold true for New Jersey. The currently proposed legislation reflects a limited number of dispensary and grower licenses to be issued state-wide, which will lead to a high demand among municipalities for those businesses. Several municipalities have already enacted ordinances or indicated a pre-disposition against a marijuana industry-related facility within their borders. This will increase the financial benefits and employment opportunities for municipalities favorably disposed to such businesses. A further consideration for municipalities, are the social justice aspects of legalized marijuana. The currently proposed legislation includes provisions for “impact zones.” These zones are economically depressed areas that also have a population with a disproportionately high number of marijuana-related arrests. The proposed legislation seeks to favor businesses with owners and/or investors from such areas. The bills seek to set aside 25% of dispensary licenses for such businesses. While it is uncertain at this time whether this reflects the specific social justice aspects of a final law, it is safe to assume that any law legalizing recreational marijuana use will have similar provisions. Given the potential economic impact that a newly created marijuana industry could have in New Jersey, any municipality containing an impact zone would greatly benefit from embracing marijuana businesses. The social justice policies will reduce the wealth disparity currently found in many communities that have been disproportionately impacted by the criminalization of marijuana. Such a benefit could help rejuvenate communities that have been left behind by such criminalization. The proposed legislation also provides some guidance as to how municipalities can implement and/or regulate marijuana businesses. As currently drafted, the bills leave the majority of the rule making and regulation to an agency to be established for this purpose, the Division of Marijuana Enforcement, which will have 180 days from the enactment date of the bill to start drafting regulations and accepting applications for businesses. Municipalities will have the right to prohibit marijuana businesses from operating within their jurisdiction, but must enact an ordinance doing so within 180 days of the effective date of the legislation. The failure of a municipality to enact an ordinance within that time frame will serve to permit the operation of retail establishments within that municipality for a period of five years, with the municipality having the right at the end of the five years (and every five years thereafter) to enact an ordinance prohibiting the operation of marijuana establishments. Municipalities that decide to allow marijuana businesses to operate will be permitted to enact ordinances or regulations that govern the time, place, manner, and number of establishments that operate within their jurisdiction, so long as they do not conflict with the bill itself. Therefore, any municipality seeking to embrace marijuana businesses must monitor the final legislation and any ensuing regulations closely. In the end, there are many variables that remain unanswered with regard to the legalization of recreational marijuana. However, there are very few opportunities otherwise available to municipalities to raise revenue without taxing residents. 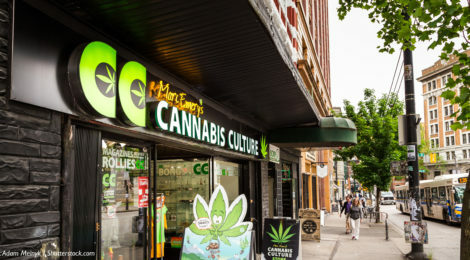 Municipalities must decide sooner rather than later as to whether they will embrace marijuana businesses – otherwise, their chances of landing one may go up in smoke. Robert J. Flanagan III is member of the Litigation Department at Greenbaum, Rowe, Smith & Davis LLP. He concentrates his practice in litigation, including substantial work in all aspects of both state and federal civil and criminal litigation pre-trial, trial, and appellate practice. His experience is focused in the areas of banking and creditors’ rights, white collar criminal defense, landlord-tenant disputes, personal injury, community association law, and commercial litigation. He is a member of the firm’s Cannabis Industry Practice Group, which was established to proactively meet the needs of both existing and future clients by assisting them in evaluating and managing the business and legal impacts of a New Jersey-based cannabis industry. Mr. Flanagan also earned the ANSI-accredited Certified Information Privacy Professional/United States (CIPP/US) credential through the International Association of Privacy Professionals (IAPP).